Chihuahua dogs are adorable. They look like toy dogs, but they have very stout hearts. They are affectionate, loyal and very curious pets. 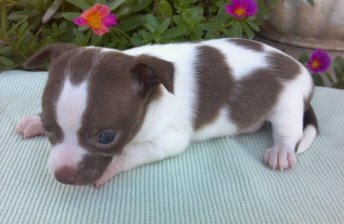 There are certain things you should know, when looking for Chihuahua puppies. Even though, or because these dogs are tiny, they require some extra good care. They low body weight may cause problems, if they get diarrhea, for instance. They get rapidly dehydrated and may die of it. Sugar blood level jumps may also be life threatening for these dogs and pups. So, getting a Chihuahua, prepare to care for it, as for a child. Now, finding a good pup greatly depends on whether you can find reliable Chihuahua breeders. Before you make up your mind, you may want to visit a dog exhibition in your area. There you can meet reputable Chihuahua breeders and learn all about the proper looks of this breed. If no dog exhibition is conducted in your area, you may get online and find addresses of local Chihuahua dog clubs. There they can recommend you, which Chihuahua breeders to turn to. Once you find a couple of kennel addresses, visit several of them. Spend some time watching the Chihuahua puppies and their mother or both parents. Located just south of Kansas City directly on the Missouri and Kansas line. Long and short hair chihuahua's available.The Chihuahuas at Motley Kennels are pure bred Chihuahua puppies. Contact Motley Kennels today about their current Chihuahua's available. located just South of Jackson Michigan with Happy, well socialized Chihuahua puppies for sale. Located not to far from Ohio and Indiana as well. Chichi Babies is located in Greenwood Arkansas and offers both long hair and short hair Chihuahua puppies for sale. Better the Chihuahua breed by concentrating on temperament and health. Located in Stoutland Missouri and breeders of the Chihuahua. Breeding for several years and of a few select breeds contact them today. Tidbit Pups T/A Kennels is located in beautiful Willow Springs North Carolina. We breed Chihuahua's and have been for over 25 years and have been loving them for a lifetime. Our Chihuahua puppies for sale can be viewed on our site. Pamered Puppies breeds Chihuahua's and has been breeding in their home for many years. The Chihuahua is a spirited, smart, and loving little companions. 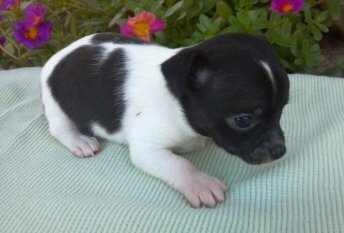 Finding Chihuahua puppies for sale in Arkansas can be simple just visit Pampered Puppies. Located near Birmingham Alabama and breeders of the Chihuahua, Man's Best Friend Kennel has puppies for sale for you. Find the perfect puppy companion and best friend at Man's Best Friend Kennel. Breeding Chihuahua's in Missouri for over 14 years. 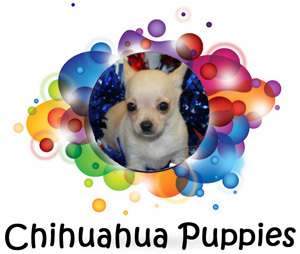 The Chihuahua puppies for sale at Midnight Acres Kennel can be found on their site when puppies are available. Midnight Acres is registered with the state of Missouri, the USDA, and the SW BBB. Located outside of Columbia South Carolina and breeders of the Chihuahua. Small breeder with Chihuahua puppies for sale. Contact them today about their available puppies for sale! Located in Burns Kansas and breeder of the Chihuahua. The available puppies at Bow Wow Mounds Kennels come with a health guarantee and shipping is available for their Chihuahua puppies for sale. Call them today for more information. Vicky's Toys has been breeding for over 20 years. They breed the Chihuahua and have been for most of that 20 years. The Chihuahua puppies for sale at Vicky's Toys are listed on their site when they are available. Visit their site today!